Well-qualified owners and lessees of an Escalade, Navigator, Suburban, Expedition, Tahoe, Yukon or Sequoia are eligible for the Loyalty Conquest on MY19 QX80 of $3,000 on Retailer purchase or $2,000 on leases. Bonus valid through 4/30/19. Down Payment may be required. Subject to credit approval and residency restrictions. Documentation of vehicle ownership is required to qualify. Must take delivery from new Retailer stock. See INFINITI of Birmingham for details. 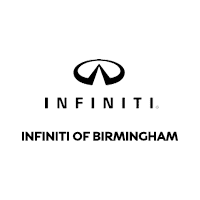 INFINITI of Birmingham	33.3753392, -86.8035397.